We all know that your credit score can be like an albatross hanging around your neck, as it can serve as a painful reminder of any financial mistakes you have made in the past. Not only can it limit your options in life, but it can also prevent you from taking out a loan when you need it. If you’re able to take out a loan, your credit score will affect the type of interest rate you qualify for. Lending Club, of course, is no exception to that rule – though their requirements aren’t as strict as most commercial banks. They use your credit score (along with other market factors) to determine your overall credit risk. This can prevent them from lending to someone who may never pay it back. 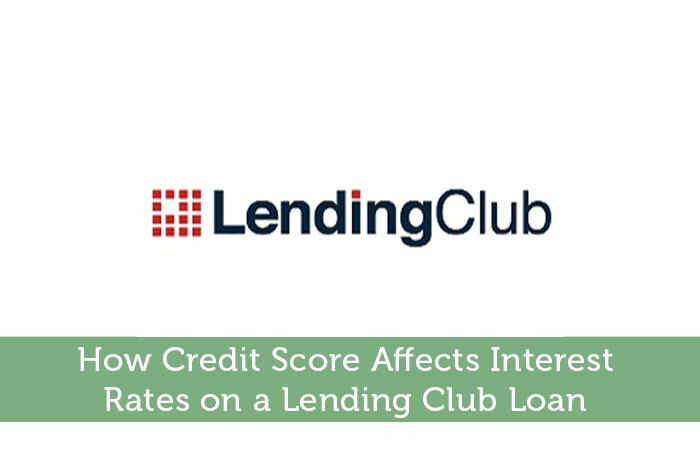 Lending Club uses a simple a simple formula to calculate the interest rate on a loan. They take the “base rate” (which is based on your credit score) and they add it to an adjustment figure they use to cover expenses and other potential losses. This “Adjustment for Risk and Volitility” gives them more of a cushion in case the loan goes into default. After all, they take ownership of every loan that gets funded. So, they have to find some way to cover that liability. Once the final interest rate has been calculated, it remains fixed for the life of the loan. In other words, it will never change regardless of what might be added to your credit report in the future. This is a good thing to know because there are many companies that could change your interest rates at any time they see fit. In addition to the standard FICO scoring you see on your credit report, Lending Club has its own grading system that helps them to evaluate a borrower’s credit risk. This is largely based on his or her credit score, but it is also based on his or her history on the site itself. A person with a good score will be able to qualify for a lower than average interest rate, and he or she might be able to loan more money. A bad score will mean that the borrower will have to pay an interest rate that is higher than normal – that is, if he or she is able to qualify at all. A bad score can also limit the amount of money he or she will be able to borrow. In general, a borrower must have FICO score of at least 660 in order to qualify for a Lending Club loan, which again is lower than what is required by most commercial banks. Still, you don’t want to have too much history on your credit report, or you might be considered too much of a risk. It’s always in a person’s best interest to keep a close eye on his or her credit score, and working to pay off any outstanding debts should be a priority. This can take some time, but it can always come back to bite you in the rear if you decide to ignore it. It’s important to understand how your credit score can affect your ability to take out a loan, and it can have a tremendous impact on how much you could be paying in interest. After all, the last thing you want is to be caught flat-footed when you apply for a loan or anything else you might need in the future.